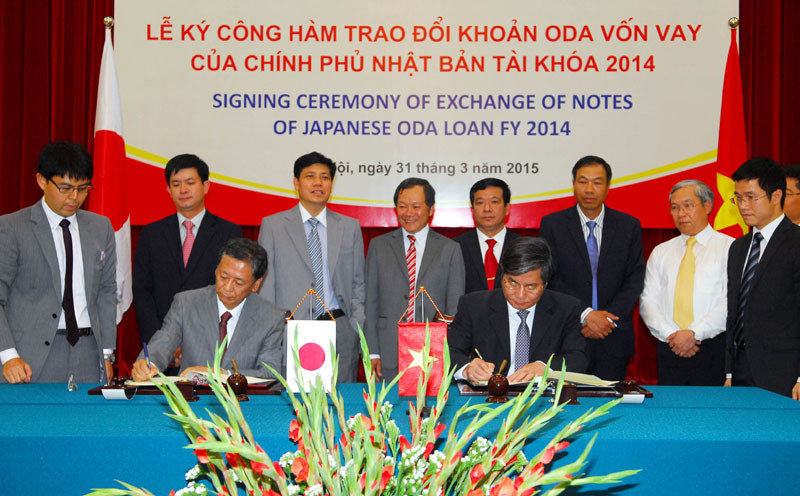 HA NOI (VNS) — Japan has committed US$936.4 million in official development assistance (ODA) to Viet Nam for socio-economic development. The money will be used to build the Ben Luc – Long Thanh section of the north-south expressway, the Thai Binh 1 thermo-power plant and its power transmission line, a credit project for power networks, the second stage of the Nhon Trach water supply project, water drainage and treatment in Ha Long city, upgrades to Can Tho university, and the fifth cycle of a climate change response programme. Minister of Planning and Investment Bui Quang Vinh and Japanese Ambassador to Viet Nam Hiroshi Fukada signed a diplomatic note to this effect in Ha Noi yesterday. Speaking at the ceremony, Vinh said Japan was Viet Nam's leading economic partner and ODA provider and pledged to use the sum effectively. Fukada said relevant agencies were reviewing a list of projects in need of ODA for the next fiscal year.